We have assembled a variety of materials to help you deliver a engaging and interactive series of lessons on social media by playing the BeSeen game. We have a detailed lesson guide, a parent letter template, a student flyer to send home, handouts and a variety of other support materials. Simply fill out the form with your contact information and you can then download all of the materials immediately! We are here to support your efforts and make your lessons around BeSeen the best they can be. We will be sending you a series of emails to help you prepare for the lessons and deliver them. 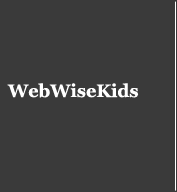 Be on the lookout for some messages from Web Wise Kids and please contact us if you have any questions.